If you have naturally curly hair or are thinking of transitioning from relaxed to curly hair, you’ve probably heard of the importance of moisture in the hair. So let’s look at the basics. What exactly is moisture? Moisture simply refers to plain old water, and/or water based products. Why is moisture in the hair so essential? 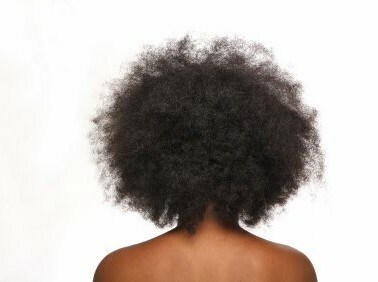 Curly, coily, mixed race and black hair tend to be on the dry side. There’s nothing wrong with it. That’s just the way it is naturally. Unlike straight hair, the sebum, which is the oil found naturally on our scalp, can’t easily travel down to the ends because of the kinks and curls, leading to dry hair. This dryness can wreak havoc on our tresses if our goal is to grow healthy, long and beautiful hair. This is where water comes in. When we apply moisture to our strands it increases our hair’s elasticity, flexibility and fights breakage. In other words, it makes our hair stronger. Contrary to what many still believe, applying water to the hair is what keeps it beautiful and lustrous. Why do so many curlies still battle dry hair? Unfortunately the belief for many is that any old hair cream or oil is all that is needed to be applied to combat dryness. The real issue is that very curly and afro textured hair is so porous that it loses moisture a lot faster than other hair types. The way around that though is to seal in the moisture with an oil, after water or a water-based product has been applied, to keep the hair moisturised for longer. Typically, naturally curly girls like to seal their hair with natural oils. Some of these include olive oil, coconut oil (my favourite), avocado oil, castor oil and grapeseed oil. Natural butters, such as shea, mango or cocoa butter are also used. The oil/butter literally acts as a semi-permeable barrier to prevent the moisture from escaping the hair strands. Another way to go about it is to apply a moisturiser that contains a humectant. A humectant draws moisture from the air to the hair. Examples of humectants include aloe, honey and glycerin. This is why many good hair moisturisers contain one or a combination of these ingredients. Have you ever noticed our soft and moisturised your hair is after a fresh wash, no matter how you choose to style it? That’s because your hair is completely moisturised. Days later you might notice that your hair is feeling dry, hard, or even crunchy? This is because of moisture loss, which means you have to re- apply water and re-seal with an oil. In my regime, I make sure I moisturise my strands twice a day, morning and night, at the very least once a day if I’m feeling lazy. This has really helped me to retain my length over the last year. I’ve learnt that keeping curly hair moisturised doesn’t have to be difficult. It’s merely a process that needs to be managed continuously. Once you get the hang of it, you’ll be amazed at the difference you experience in the general health of your hair. Previous Post Happy 1 year anniversary in Japan to me! Thanks so much for the good hair love!